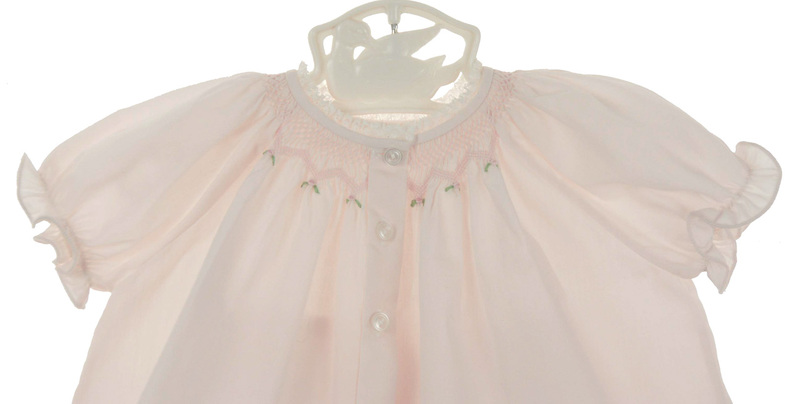 This sweet little pink cotton blend smocked diaper set was hand embroidered in the Philippnes. 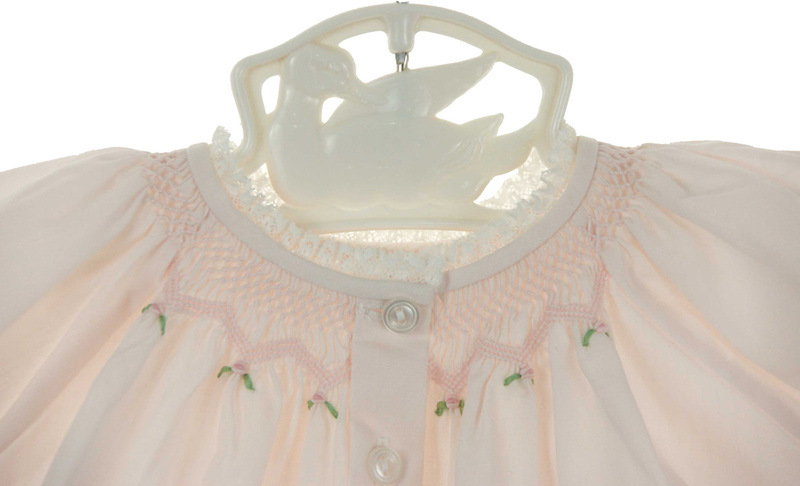 The top features bishop smocking embroidered with pink rosebuds with a lace trimmed round neckline and front buttoned closure. The short puffed sleeves are finished with elasticized ruffles. The matching diaper cover has an elasticized waist and ruffled elasticized leg openings for a good fit.